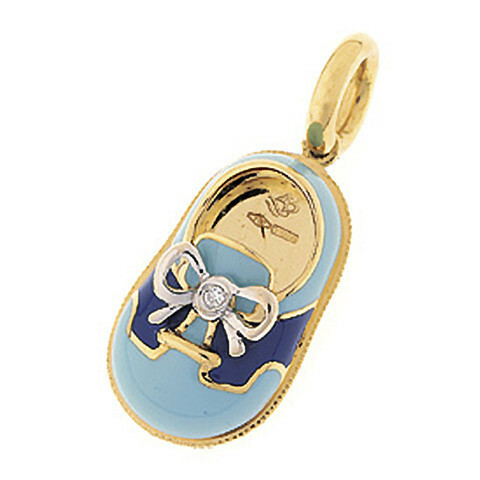 Life gets pretty snazzy when you place this Aaron Basha baby shoe charm on your necklace or bracelet. This 18kt yellow gold charm has a light blue enamel overcoat with a dark blue saddle, and the shoestring is accented with a delightful white diamond. Enjoy the spiffy look this Aaron Basha charm will bring to your collection.